Module Six: Africa and its Geography and Module Seven B: African History introduced the topic of colonialism in Africa. You learned that at the end of the 19th century, European powers colonized all of Africa with the exception of Liberia and Ethiopia. As emphasized in Modules Six and Seven B, European states colonized Africa for a number of reasons. 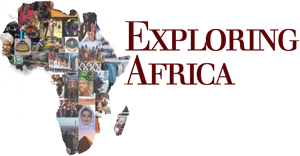 In Module Ten: African Politics, political reasons for colonization will be addressed. In this lesson, the economic reasons for and the economic consequences of colonialism will be discussed. Economic historians of Africa point to a number of economic related reasons why European countries colonized Africa. Demand for Raw Materials: As you may have learned from your studying Europe, in the 19th century, Europe experienced the industrial revolution. Industrial production, like all modes of production, requires human resources, capital resources, and natural resources. There was no shortage of labor in Europe. Two centuries of trade with Asia, the Americas, and Africa (including the Atlantic Slave Trade) had brought great profits to European traders. These profits provided the capital necessary to finance the industrial revolution. However, most of Europe was resource poor. Consequently, European industries were dependent on raw materials from Asia, the Americas, and Africa. For example, one of the earliest industries in Europe was the cotton textile industry, which helped stimulate the industrial revolution. This industry was completely dependent on imported cotton. As industrialization grew and spread throughout Europe, competition for raw materials increased. Consequently, some European industrialists encouraged their governments to colonize African countries as a method of guaranteeing sources of raw materials. Need for Markets: By the late 19th century, the industries in Europe were producing more industrial goods than Europeans could consume. Consequently, industrialists sought markets for their goods around the world. 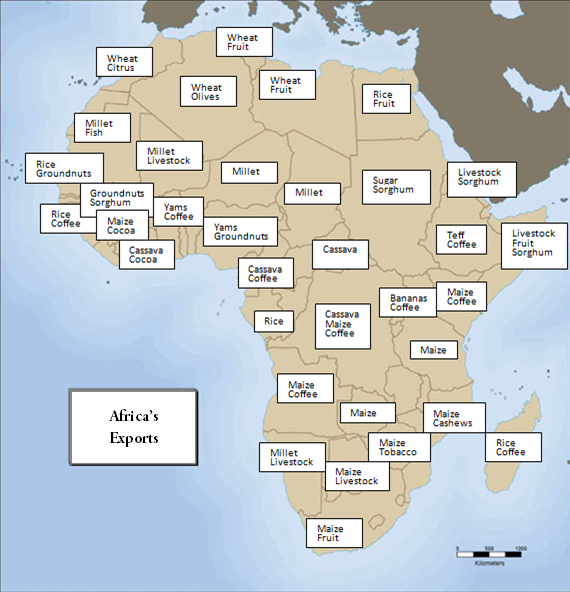 As competition between industries for markets grew, industrialists encouraged their governments to undertake colonization of Africa in order to protect markets for their industrial goods. Commerce, Christianity, Civilization: Some historians argue that one of the most important economic reasons for colonization was the belief by some Europeans, particularly missionaries, that the development of trade and commerce in Africa was an essential component to the restitution of “civilization” in Africa. Today, historians reject this ethnocentric conception of civilization, but many Europeans of the period felt that Africa was not “civilized”. They believed that trade and commerce, along with introduction of Christianity, were key to development in Africa. Christian mission societies and other advocates of this position pushed European governments to colonize Africa and thereby provide a supportive environment for the expansion of commerce. The Scramble for Africa took place between 1886 and 1914. During this time, European countries colonized all of Africa, with the exception of Ethiopia and Liberia. 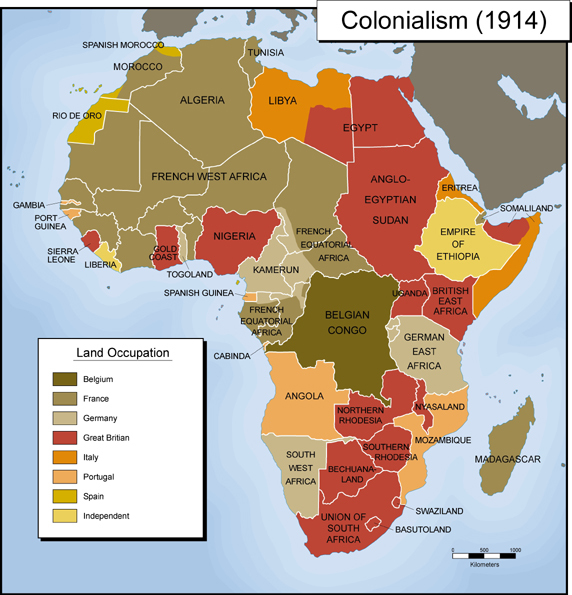 As is shown the following map, Britain, France, and Portugal were the main colonial powers in Africa, but Belgium, Germany, Italy, and Spain also had colonies. Establishing political control, or sovereignty, over their colonies was the primary objective of the colonial powers in the early years of colonialism. The colonial powers used a combination of warfare, threat of force, and treaty making with African rulers in their efforts to gain political control of African colonies. Once political control was realized and institutions of governance were in place, economics became the main concern of the colonial governments. Europe experienced an economic depression at the end of the 19th century; consequently, the colonial powers felt that they had no money to spend on political administration, social programs, or economic development in their colonies. They were adamant that the colonies should pay for themselves. The colonial administration in each colony was charged with raising the revenue necessary to pay for all expenses, including the colonial army and police force. Mineral Exploitation: Africa is a continent rich in mineral resources. In colonies where there were large deposits of minerals, colonial governments encouraged the exploitation of the minerals. Northern Rhodesia (Zambia) and the Belgian Congo (Congo) are examples of colonies whose economies were dominated by copper production. In these colonies, colonial governments initiated policies that forced some African farmers to leave their homes to become mine workers. Large Scale Agricultural Production: In colonies in East and Southern Africa that had climates attractive to European settlers, the primary colonial economic activity and revenue generation was large scale farms owned by Europeans. Examples include Angola (coffee), Kenya (coffee, tea), and Southern Rhodesia/Zimbabwe (tobacco, beef). In this system, European settler farmers needed land and labor. To meet these needs, the colonial governments instituted unpopular policies that removed good farm land from the local population and forced some local men to work as laborers on European controlled farms. Small Scale Agricultural Production: Most African colonies had neither large deposits of minerals, nor the environment to encourage European settlement. In these colonies, the colonial governments actively encouraged farmers to grow special cash crops that would be exported to raise revenues. Cash crops included food crops such as groundnuts/peanuts (Senegal, Nigeria), coffee (Tanganyika, Rwanda, Uganda), cocoa (Ghana, Togo, Cote D’Ivoire) and non-food crops, such as cotton (Mali, Niger, Sudan) and tobacco (Malawi). Supply of Labor: Parts of some African colonies were poor in natural resources. In these situations, the colonial regimes instituted policies that strongly encouraged able bodied men to leave their homes and migrate either to distant areas within the same colony or to neighboring colonies where they worked in mines or on large farms. Mine owners and commercial farmers paid a recruitment fee to the colonial government of the worker’s home country. For example, in Southern Africa the colonies of Bechuanaland (Botswana), Basotholand (Lesotho) , Swaziland, and parts of Mozambique and Malawi became labor reservoirs for the mines and large farms of Northern Rhodesia, Southern Rhodesia, and South Africa. Mixed Economies: Most colonial economies in Africa are called mono-economies by economists. This indicates that the colonial economies were dependent on mining, settler agriculture, or the small scale production of a single cash crop. There were a few exceptions to this trend. By the end of colonialism in South Africa (1994), the country had a very vibrant and diversified economy boasting mineral, agricultural, and manufacturing industries, and an advanced commerce sector. Another example of a mixed economy is Nigeria. In the 1950s, the last decade before independence, the discovery of large reserve of petroleum helped diversify an agriculturally based economy.